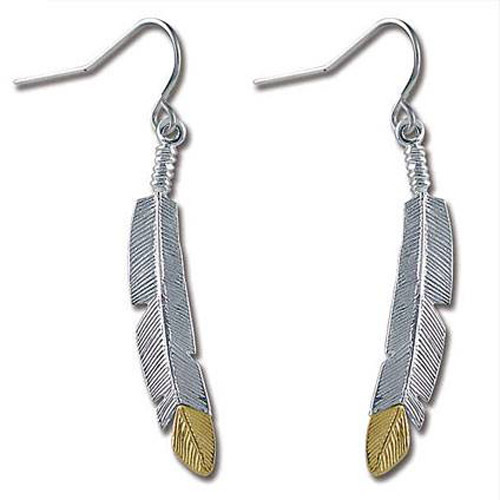 Desc: Landstroms Black Hills Gold Sterling Silver feather earrings. 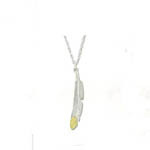 The feather is fashioned from Sterling Silver and has a yellow gold tip. The earrings dangle from French wires. The earrings have texturing to resemble a feather and a bright polish finish. We have a matching necklace, see GSK493. These earrings are made in the United States of America.